Mother's Day is the second Sunday of May in the United States. This year, this holiday dedicated to motherhood falls on May 12 at least in the US and in some other countries. Different nations across the globe have set aside other dates to honor mothers. In the United Kingdom for instance, they honor their mums on the last Sunday of the Lenten season. But even if Mother's Day celebrations are held on different dates worldwide, one thing is certain, people of different religions, social classes and political affiliations recognize the importance of honoring one of the most important, if not THE most important women in their lives. Most of the holidays dedicated to mothers fall between the months of March and May. Some Mother's Day celebrations are based on religious or historical events and have been around for hundreds of years, while many countries have only been celebrating Mother's Day in the past few years. Why? Because of its popularity in the United States. Hollywood television shows and movies, magazines and extreme commercialization and on-going globalization have insured the growth in popularity of Mother's Day. Some of the countries that celebrate Mother's Day the same day as the US are Australia, Bangladesh, Brazil, Canada, China, Estonia, Germany, Greece, Italy, Japan and the Philippines, to name a few. Although these countries share the same date, their traditions and reasons for honoring motherhood on this day differ. March 21 is the set date for Mother's Day in a number of Arab countries including Bahrain, Egypt, Jordan, Kuwait, Lebanon, Libya, Oman, Saudi Arabia, Sudan, Syria, United Arab Emirates and Yemen. Arabs in Israel also celebrate their mothers on this day. Religion plays a part in the celebration of Mother's Day in Nepal, which occurs sometime in April or May. There they celebrate the Hindu tradition known as "Mata Tirtha Anunshi." This is translated to "Mother Pilgrimage Fortnight." Together with the UK, Ireland also celebrates its own version of Mother's Day on the fourth Sunday of Lent. The original holiday was called Mothering Sunday. It was a Christian holiday dedicated to the Virgin Mary, the mother of Jesus Christ. 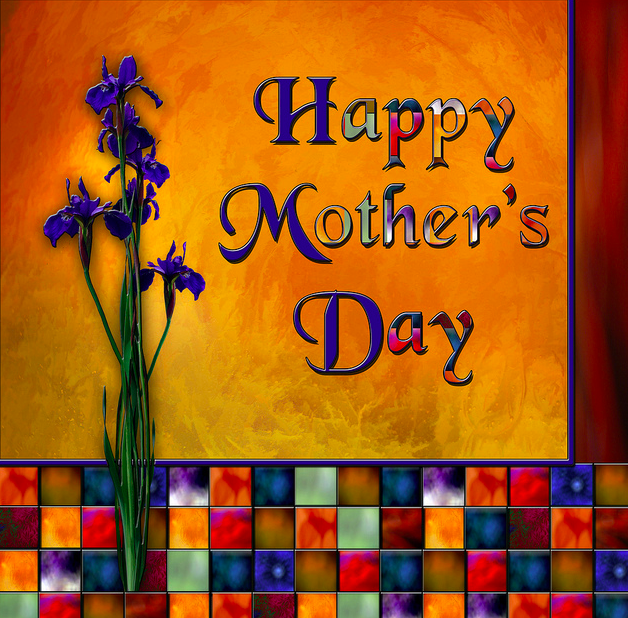 The first Sunday of May is Mother's Day in places like Hungary, Lithuania, Portugal, Romania and Spain. "Dia de la Madre Boliviana" is Bolivia's version of Mother's Day. This falls on May 27 and commemorates the sacrifice of the women who gave up their lives for Bolivia's independence against Spain in the Battle of Coronilla. Argentina holds its Mother's Day celebration every third Sunday of October. The original date was October 11, the date when the Virgin Mary was honored according to Christian teachings prior to the Second Vatican Council. In order to increase sales, merchants requested that the date be moved to the third Sunday of the same month. During the last Sunday of May, countries like Algeria, Haiti, Mauritius, Sweden and France celebrate Mother's Day. However, in France, if Pentecost falls on the last Sunday of May, Mother's Day automatically moves to the first Sunday of June. Instead of having a Mother's Day holiday, a number of countries celebrate motherhood during International Women's Day, which is happens every March 8. All moms are special in their own way. But not all are as famous as these five mothers. Saint Monica. 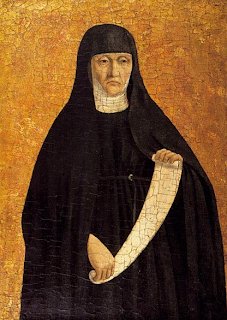 Born in Numidia (what is Algeria today), in 331, Saint Monica is the saint people pray to if they are suffering from a difficult marriage or raising disappointing children. Monica married a man with a violent temper. He was pagan who only converted to Christianity very late in his life. Her prayer habits, among other things, annoyed him. Although her marriage was far from perfect, she was a faithful, virtuous woman who lived an exemplary life. Monica had three children. Among them, it was Augustine who challenged her the most. Through her sufferings, perseverance, and constant prayers, her son Augustine eventually saw the light and changed his ways. Augustine became one of the most well-known and important saints in Christendom. Marie Skodowska-Curie. 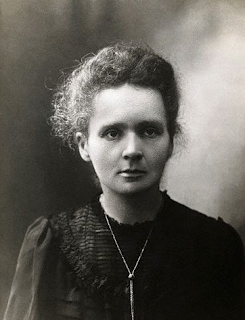 A two-time winner of the Nobel Prize, one for Physics in 1903 (shared with her husband Pierre Curie and with Henri Becquerel) and the other for Chemistry in 1911, Polish-born Madame Curie was a well-educated woman who worked side-by-side with her husband in identifying as well as isolating molecules of radium ad polonium. The world owes the word "radioactivity" to Marie. Her daughter, Irène Joliot-Curie won a Nobel Prize in Chemistry in 1935. Like mother, like daughter. 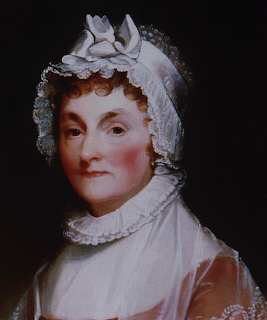 Abigail Smith-Adams. She was the wife of the second US President, John Adams, who held office from 1797 to 1801. Abigail did her best to function according to the positions held by her husband. Sometimes, she and President Adams would spend time apart due to his work. Lady Adams, as she was later referred to, was not formally educated. However, her desire to learn and love to read more than made up for this. She wrote letters to her husband in a vivid and honest style. These correspondences are now considered American treasures. There is no doubt that she was a devoted mother. After all, she is the mother of the sixth American President, John Quincy Adams. Mohandas K. Gandhi and Indira Gandhi, future Prime Minister of India. Late 1930s. Indira Gandhi. The daughter of Jawaharlal Nehru, the first Prime Minister of India, Indira was the very first woman Prime Minister of the country. The first term of her leadership of India began in 1966 and ended in 1977. She returned to rule in 1980 but her rule only lasted until 1984 when she was assassinated. Indira was often referred to as the "Iron Lady of India." She was a skilled politician who did what she thought was the best for her country. Her son Rajiv succeeded her as prime ministers of the country. Love her or hate her, Indira left a lasting mark in global politics. Agnes Gonxha Bojaxhiu. If the name above is not familiar to you, it is because she is best known as Mother Teresa of Calcutta (India). Mother Teresa may not have borne a single child but still, she possessed the characteristics and virtues of a mother. Mother Teresa was a selfless human being who devoted all her efforts to helping the disenfranchised, the sick (including the lepers), the blind, and the poor. In 1948, she put up the Order of the Missionaries of Charity. They exist to this day to serve "the poorest of the poor." 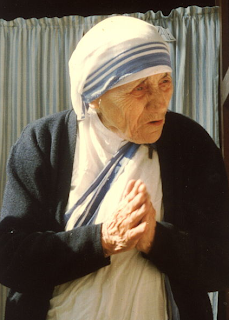 For her exemplary life, Mother Teresa was awarded the Nobel Peace Prize in 1979. She died on September 5, 1997 five days after another well-known mother and humanitarian met her demise, the Lady Diana Spencer, ex-wife of Britain's Prince Charles. Pope John Paul II (+) beatified Mother Teresa in 2003. She is now known as Blessed Mother Teresa of Calcutta. There are many different kinds of mothers in the world. Not all mothers are biological mothers. Some are actually grandmothers or aunts of children. Other women become mothers by adopting children. Still, there are women who exemplify what it truly means to be a mother. A fine example is Mother Teresa of Calcutta who became a mother to all humankind. Mother's Day is celebrated on different dates and for different reasons. Whenever you choose to commemorate Mother's Day, make sure to put in the extra effort to let your mother know how special she is. Tell her you love her and how special she is in your mother tongue. Better yet, why not celebrate Mother's Day everyday by honoring your mother in your heart. Photo Credits: Wikimedia Commons: Happy Mother’s Day Card, St. Monica, Marie Skodowska-Curie, Abigail Smith Adams, Indira Gandhi, and Mother Teresa. That is why even coming up with good enough gift ideas for women for my Mom are so tough. She's done so much for me that I feel anything I give just won't cut it. If your mom loves to drink coffee every morning, try giving her custom mugs with her name on it. It's the thought that counts.